This half term’s project is ‘The Great British Make Off’. 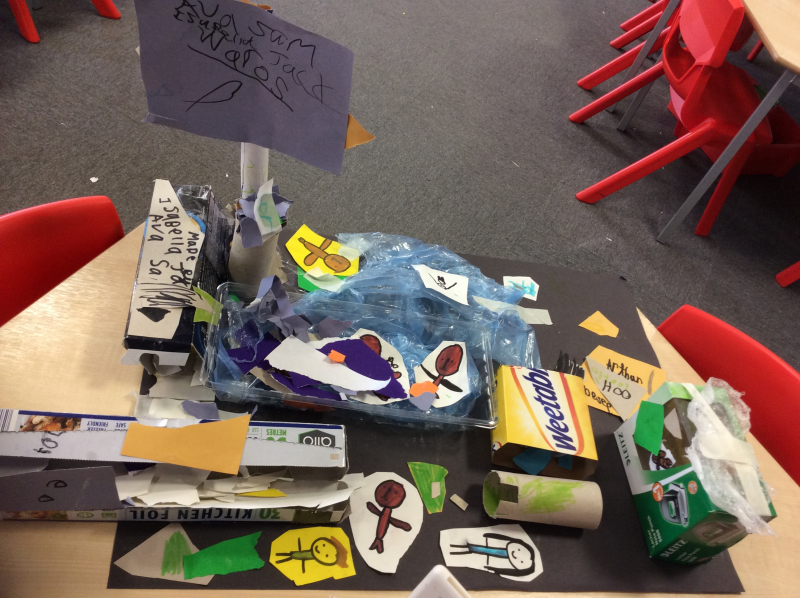 Within this project we will be learning about lots of exciting inventions from British inventors and scientists. Our learning will focus on the texts ‘How to Catch a Star’ by Oliver Jeffers and ‘Space Tortoise’ by Ross Montgomery. We will even have a go at creating our own inventions! We will also be participating in science week this half term, where we will complete lots of exciting scientific investigations! Please take a look at our curriculum map to find out more information. Homework is given out on Fridays and must be returned (with the green spelling book) by the following Wednesday. Please ensure that you read with your child at least three times per week. This week was British Science Week. We have had great fun taking part in lots of different experiments and using our scientific skills. On Monday, we tested which was the best method to protect people from a sneeze. We found out that using tissues was the best method! We also had a visit from the Science Boffins which was great fun, he showed us lots of new experiments and we also released a rocket on the playground. It went so high! 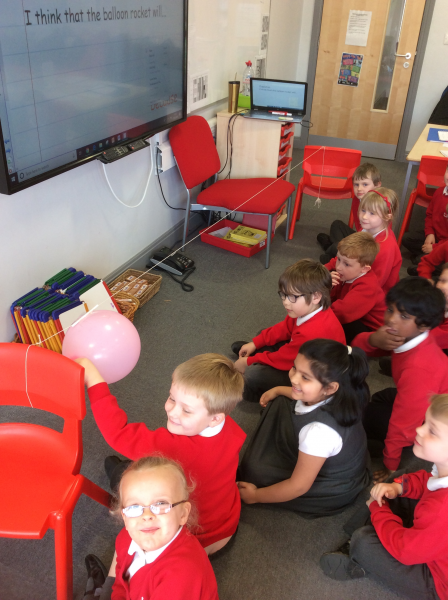 On Tuesday, we made a balloon rocket in our classroom and we all made predictions of what we thought might happen. On Wednesday, we tested which liquid changed our gummy bear sweets the most. We wanted to complete a fair test so we chose to keep everything the same apart from the liquid we used. 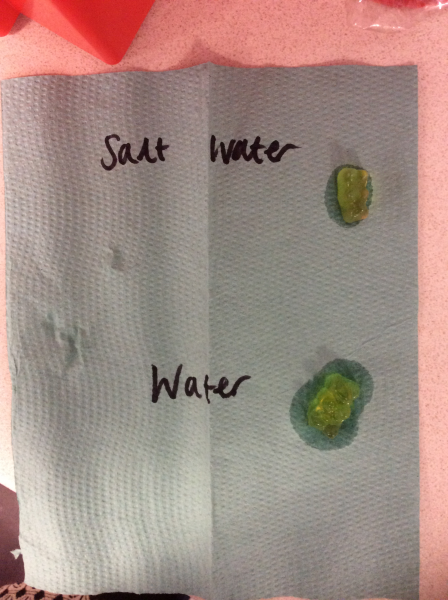 In one cup we used water and in the other cup we added salt water. Our observations showed that water changed the size of the gummy bears the most. Finally, on Thursday, we added raisins to lemonade to see what happened. The raisins sank to the bottom at first, but then they collected tiny air bubbles. Once they had enough air bubbles, they floated to the top! 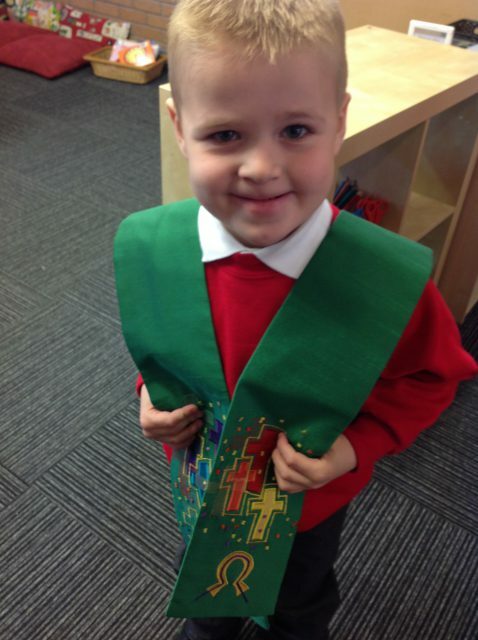 On Tuesday, we had a lovely morning in church! 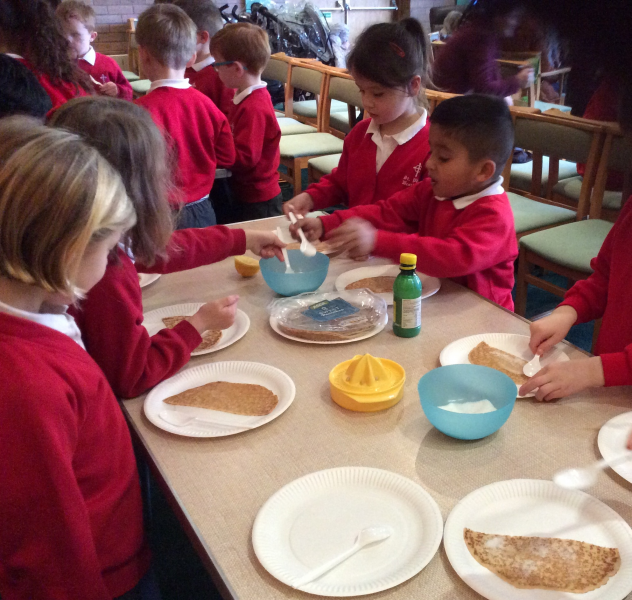 We were very lucky and were invited to go and make pancakes to celebrate Shrove Tuesday. 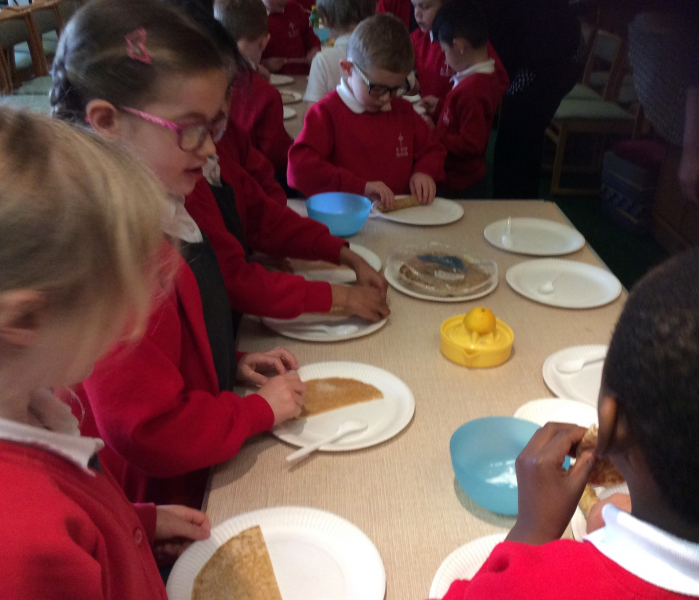 We were each given a pancake that we got to sprinkle with lemon and sugar. They were delicious! 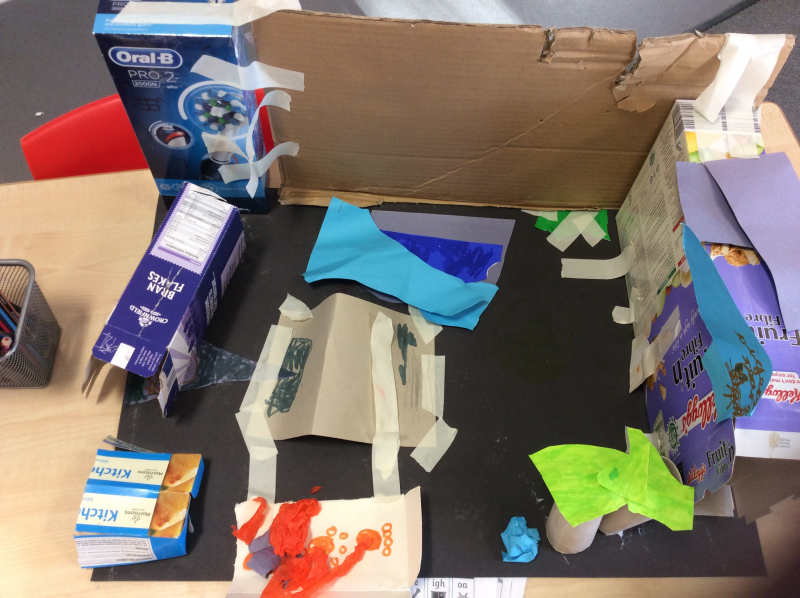 Once we had designed our enclosures, we then began making them using various materials such as boxes, paper, plastic, masking tape and much more! We were all very pleased with how our enclosures turned out. Take a look at our finished enclosures below. Can you work out which animals we chose? What a great day we had on Wednesday! 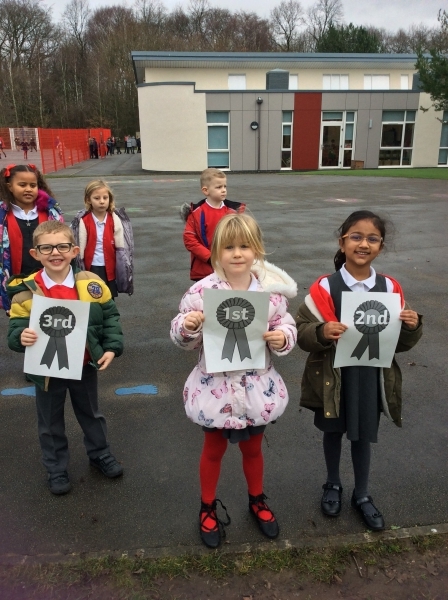 We went on our trip to Knowsley Safari Park as part of our topic ‘Animal Kingdom’. We saw so many amazing animals such as giraffes, bush dogs and bats! In the morning, we met Laura and she helped us to learn about how we can classify animals into mammals, birds, fish, reptiles, amphibians and insects. Some of us were very brave and touched a giant snail and a stick insect! After that, we watched a sea lion show where they performed lots of exciting tricks. Finally, we went on a tiger trail where we became researchers in Amur looking for the two tigers called Bira and Sinda. Unfortunately, we didn’t spot them but we did find some tiger footprints in the snow. Despite the weather, we had a fantastic day! This week we are learning to use positional language. 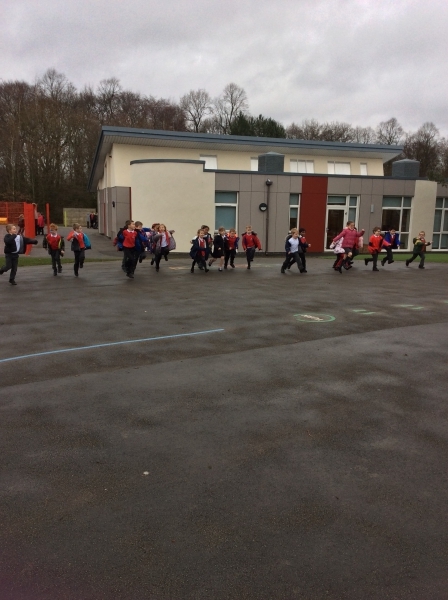 To help us with our work, we went outside and completed lots of races. 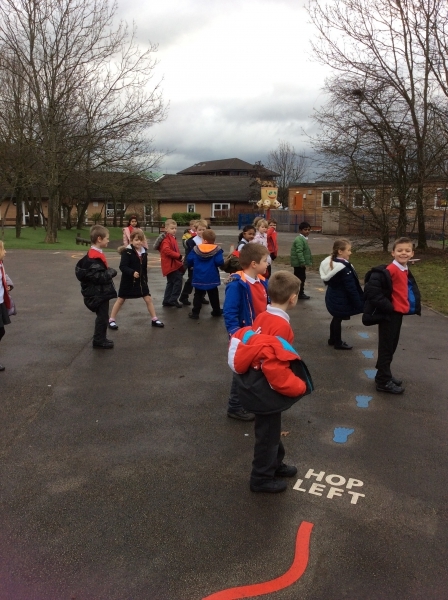 We tried running, hopping, skipping, galloping and even jumping! We had lots of fun and we were all able to name our positions. 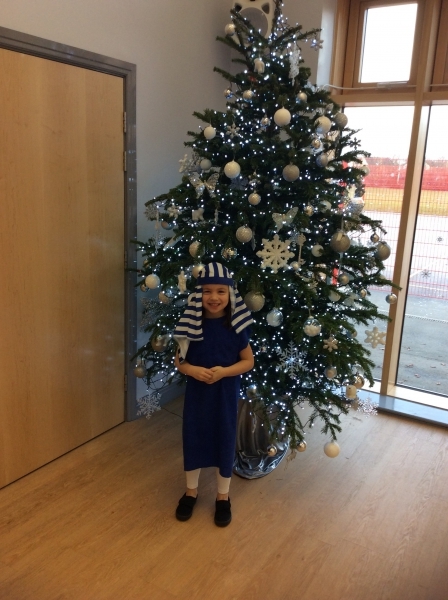 We hoped you enjoyed our Christmas performance ‘Hey Ewe’! 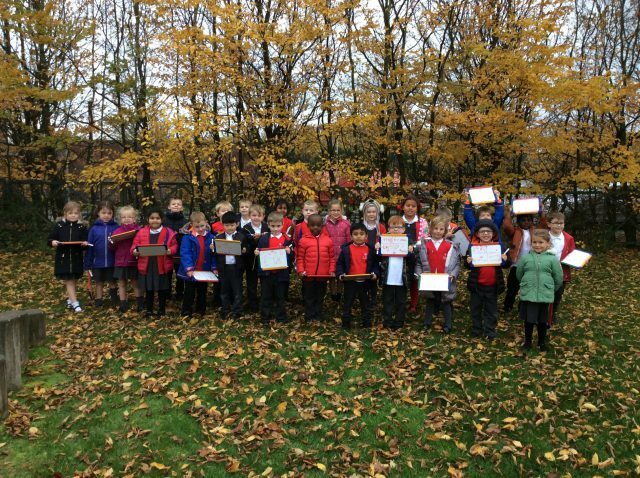 We are very proud of all of the children for their hard work. 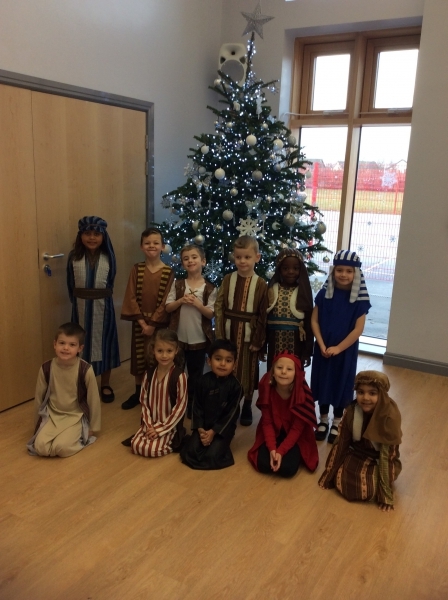 They did a fantastic job of retelling the Christmas story. Thank you for all of your hard work at home helping the children to learn their lines, dances and buying/making such fantastic costumes. Here are some pictures of our fantastic cast. Merry Christmas! In science, we have been learning about why clouds form. To help us understand, we conducted a simple experiment and observed the changes. We used shaving foam on top of water to represent the clouds. 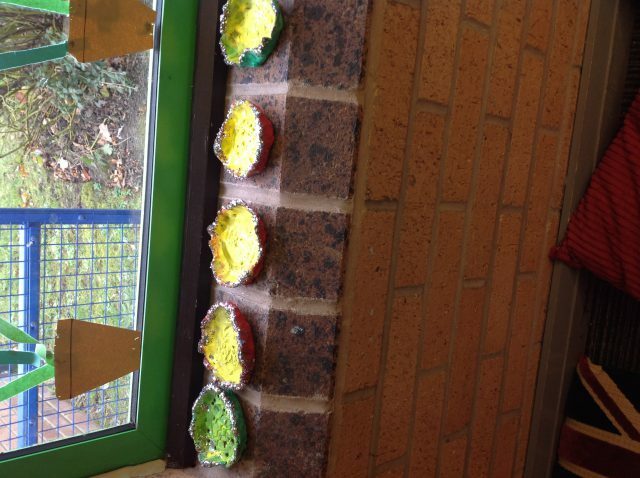 We used a pipette to add droplets of food colouring which we pretended was rain. We all made predictions of what would happen when we added the food colouring. We found out that when the cloud (shaving foam) got too heavy, it began to rain! It was very exciting when we saw all of the food colouring run into the water! This week we have been learning all about the seasons. We went outside to use our senses to find out what season we thought it was. 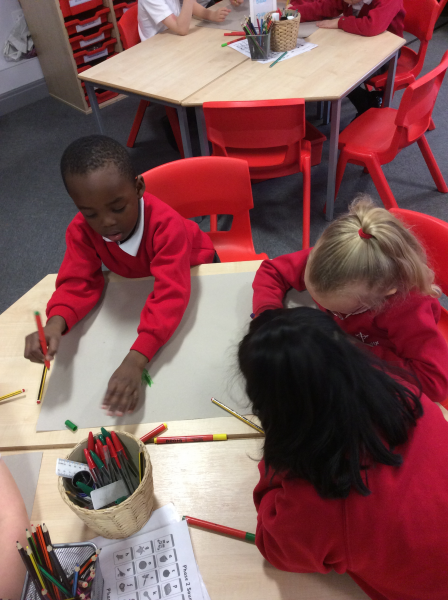 We decided that it was autumn because we could see that the leaves had turned yellow, red and brown. We could also see lots of leaves all over the floor. We could hear the wind and the trees rustling. We touched lots of leaves that were crunchy because they had dried up as they were no longer on the trees. We have loved our music lessons this half term with Mrs Bright! 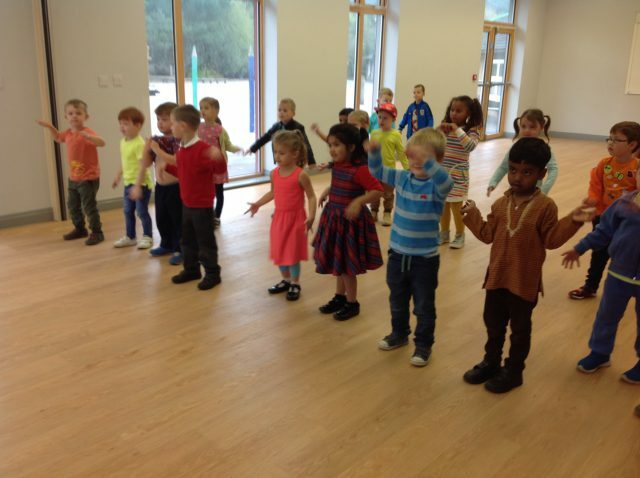 We have learnt all about Hip hop music and about the rhythm and the pulse of songs. We even got to go in the music room to have a go at playing the recorders and glockenspiels. We were very good! Thank you to everyone who brought in a photograph. This week we have been using our speaking and listening to skills to find out about each others photographs. We asked each other lots of questions. After we had found out about each others pictures, we used them for our writing. We wrote about where they were taken, who we were with, how we felt in the photos and why they were special to us. What a great day we have had! 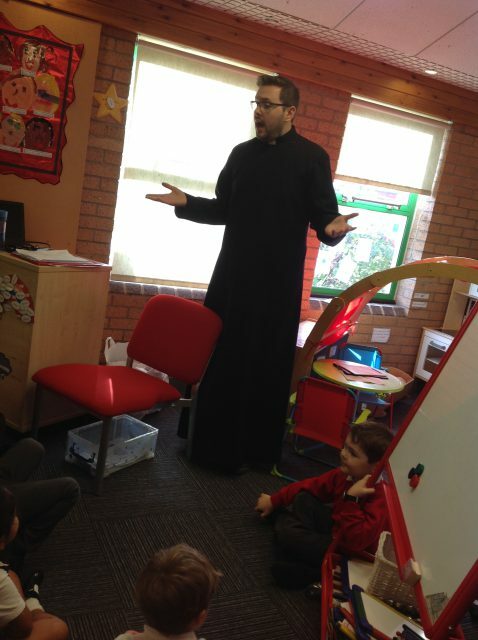 Today we had a special visitor who taught us how to make models using Lego. We made Lego houses, bungalows, shops, places of worship and much more. Once we had made our buildings, we made gardens and roads for our models. At the end, we put all of our models together to make Lego towns. We had such a fun day! We are currently learning about Harvest in our RE lessons and have been discussing our favourite types of fruits and vegetables. 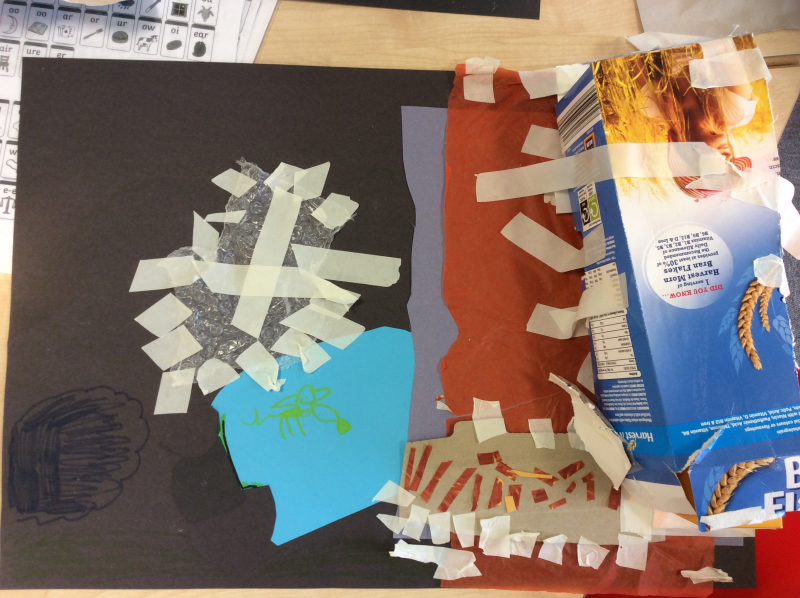 We decided to link this to our Art lessons where we have learnt all about collage. We had such a fun afternoon making our fruits and vegetables out of different materials. Take a look at some of our creations! We have been learning about everyday materials in science. We read the story ‘Jack and the Jelly Bean Stalk’ where the beanstalk is made out of sweets. 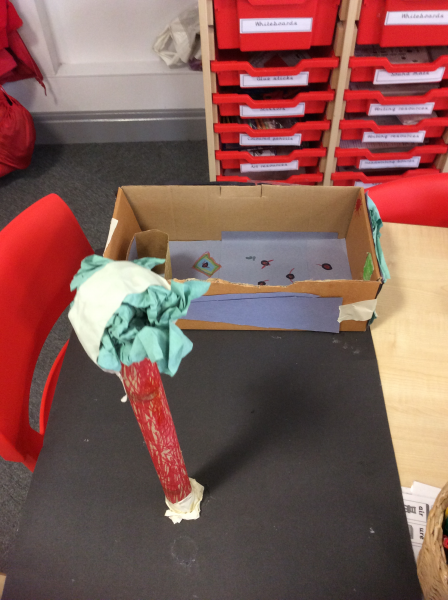 Inspired by this, we used sweets, chocolate and biscuits to investigate which made the strongest beanstalk. 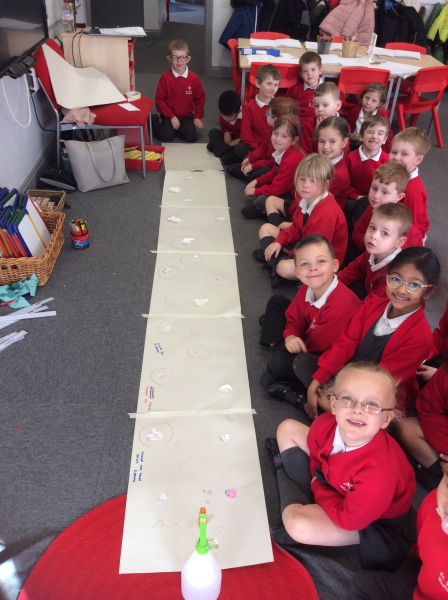 We learnt about making predictions and did this using a tally chart. We found out that biscuits made the strongest beanstalk. 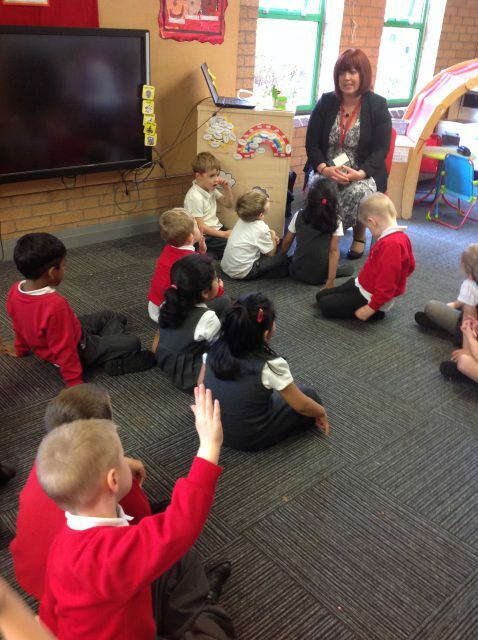 We are very proud of how well all of the the children have settled into Year 1- what a great first week we have had! This week we started our project called ‘Down My Street!’. We discussed all of the different types of buildings we have in our local area but we chose to focus on houses for our models. 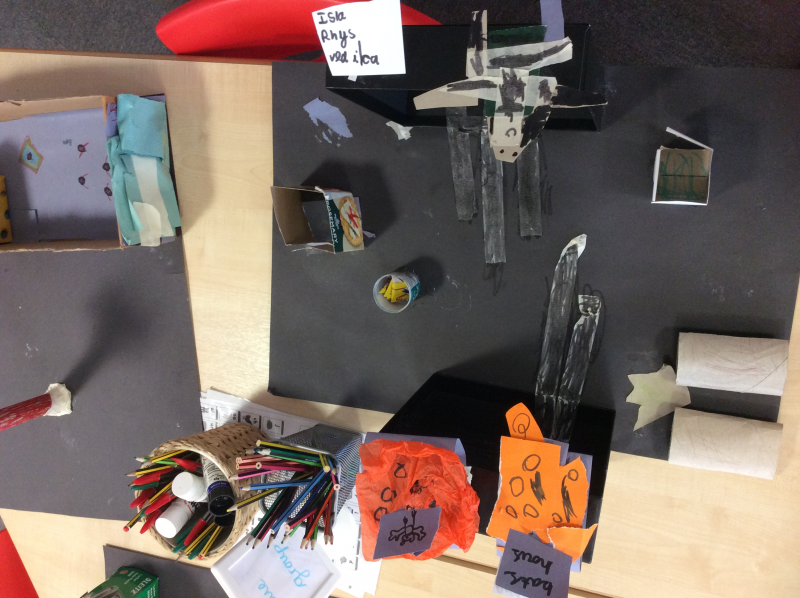 The children designed their models and thought about the materials that they wanted to use. 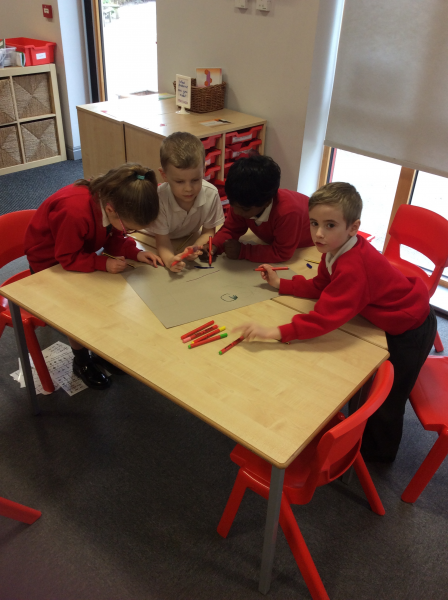 They had great fun building their designs and were so excited to show them off! 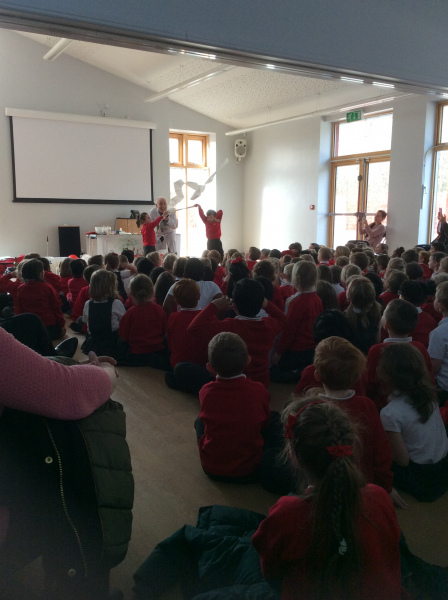 Today we enjoyed singing some songs with Mr Bradley, who brought in his guitar to accompany our beautiful voices! 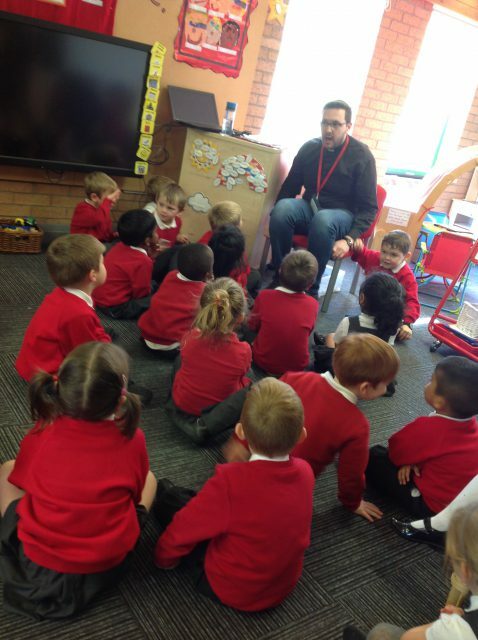 We sang nursery rhymes and ‘Our God is a Great Big God.’ We asked lots of questions and learnt about how guitars work, what they are made from and how you can play them. This half term in PE we are focusing on developing our ball skills. This week we practised throwing and catching using bean bags. The children had lots of fun throwing and catching in pairs and then aiming to throw at a target. Today we had lots of fun doing messy art activities both indoors and in our outdoor classroom. 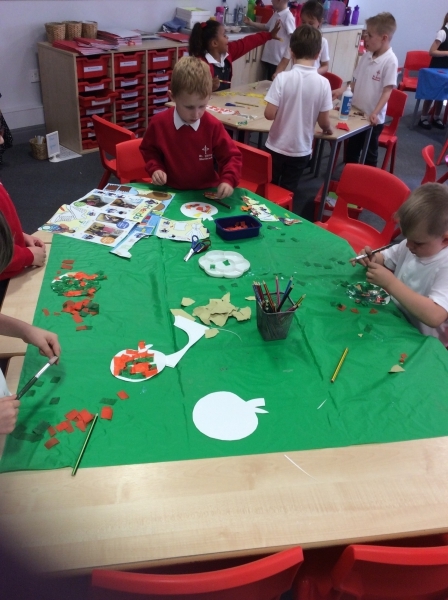 We even made a world cup trophy using collage materials and we painted some flags from around the world. 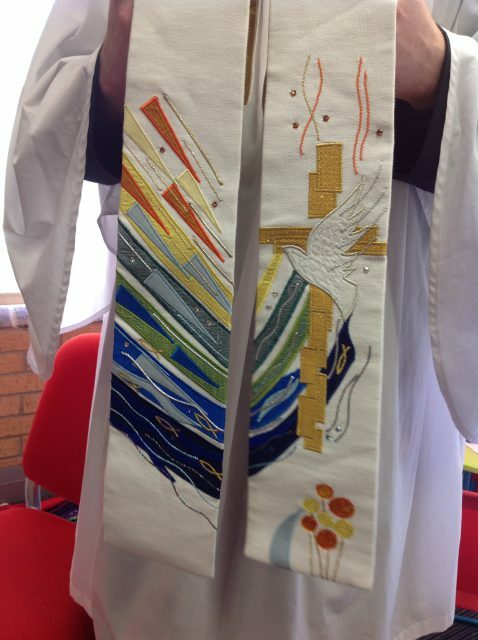 Today we had a special visit to our school church, where we looked for the altar, lectern and pews. We then took part in a scarecrow wedding, singing songs and watching the bride and groom walk down the aisle. Today we had a brilliant trip to Stockley Farm! We enjoyed feeding the baby goats, petting domestic animals such as rabbits and guinea pigs, having a ride to the woods on a tractor and visiting some birds of prey. Today we had a visit from a tennis coach and we enjoyed learning how to control a tennis ball in the sunshine. We made a tennis ball sandwich, we took the ball for a walk and we balanced the ball on a racket. It was tricky but we got much better after a bit of practise with Toby! Our Ethos Group kindly organised an Easter Egg hunt and awarded prizes for the most beautiful Easter baskets. 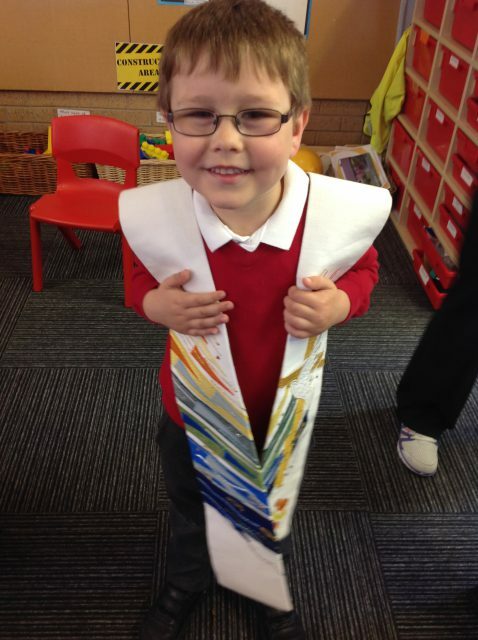 We have enjoyed learning all about the Easter story during Holy Week, and this was a lovely way to end the week. On Tuesday we had a very exciting visit from the fire brigade. They came to talk to us about their job and how we can keep ourselves safe in an emergency. Then they let us try on some of their safety clothes and equipment. Miss Parsons was chosen to try on their breathing equipment which made a very funny noise. We also enjoyed exploring the fore engine and using the hose to squirt water! Today we have continued to investigate objects that will float and sink but now we have been starting to think about why some objects float and some sink. We discovered that the objects that float contain air. 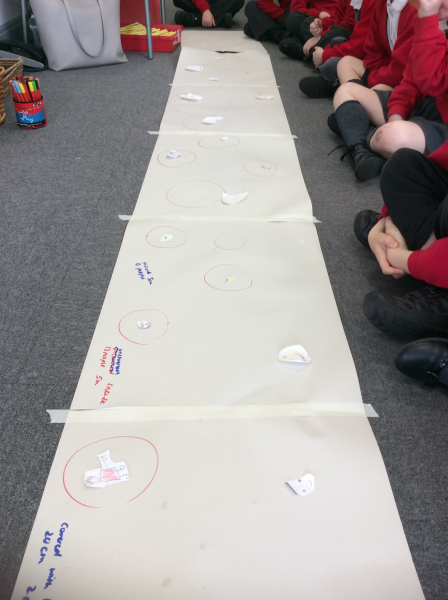 This helped the children when they made their predictions during their investigation. Today we launched Science week with an exciting visit from the Science Boffins. This afternoon we read the story ‘Mr Archimedes’ Bath’. 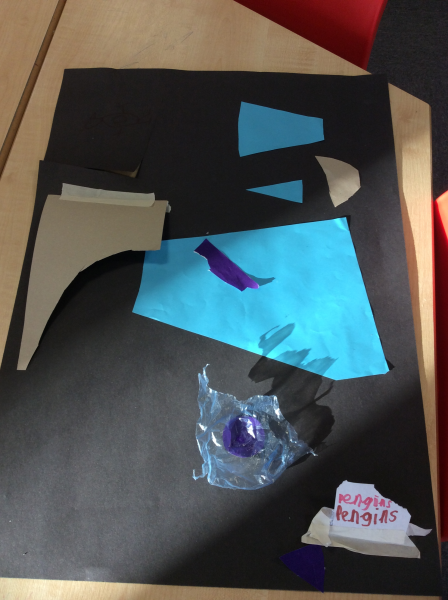 Following this, some children conducted a science investigation to see which objects would float and sink. The children made predictions and then tested the objects to see if they were correct. This week we have had visits from two special visitors: the author and illustrator Curtis Jobling and children’s author Caryl Hart. They certainly inspired us and many children have since reported that they would love to become an author when they grow up! Thank you for taking the time to help us celebrate World Book Day by dressing your children in such wonderful costumes! We shared our books with friends and took part in a ‘Drop Everything and Read’ session where we had some quiet time to enjoy a good book. Everyone loved talking about their character and describing them to each other. 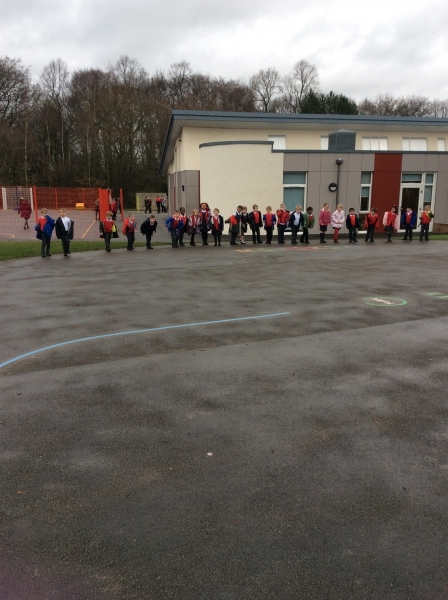 Everybody has enjoyed the recent cold weather, with lots of children being excited to learn in the outdoor classroom despite the icy wind! The children were very excited when they returned to school today. They have enjoyed exploring the new classroom areas and were amazed to find a package addressed to our class. Inside was a dinosaur egg that contained a letter asking the children to look after the dinosaur when it hatches. The children then thought about how they could look after a dinosaur and have written lists to share their ideas. We enjoyed reading a story all about Chinese traditions and how each year came to get its name. 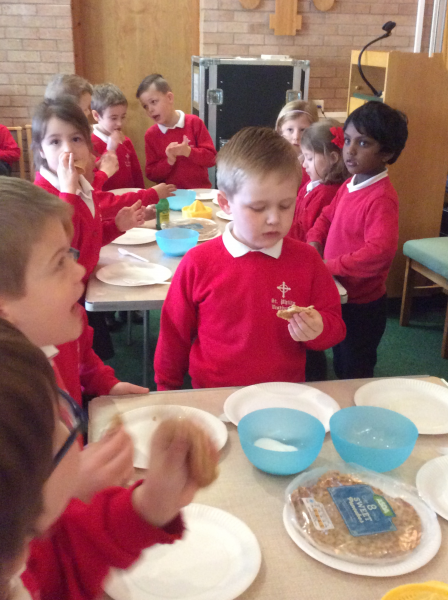 Afterwards we tasted lots of different Chinese food to celebrate the Year of the Dog, including prawn crackers, Chow Mein and seaweed. This half term we have been learning about superheroes. Over the last two weeks we have been thinking about ‘real life superheroes’ and people who help us. Today we have had a very exciting visit from the police. They spoke to us about their job and how they help others. We also got to look at a police car. The police officer told us what is kept in the car and we even got to listen to the very loud siren! The children enjoyed sitting in the police car too! Thank you to all of the parents who have volunteered to be our secret readers. The children have been very excited to hear your favourite stories. If you would like to be one of our readers, please let a member of staff know. We have had a very busy week during health week. 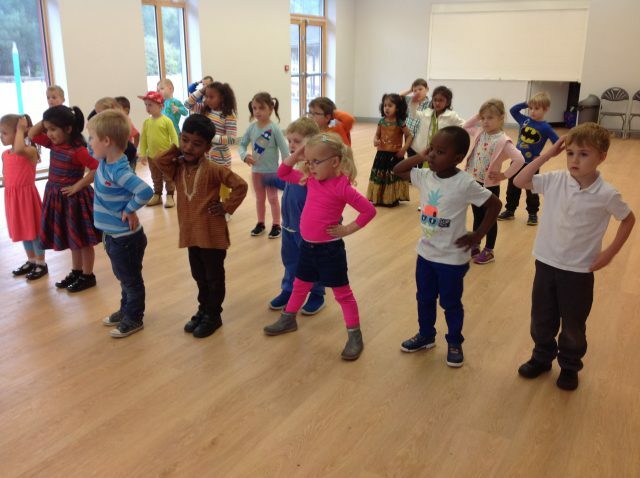 Every day we took part in exercises and we learned more about how to stay healthy. We talked about how to eat well and drink lots of water and we also thought about how important it is be happy. On Friday, we made some healthy snacks. After washing our hands, we carefully cut our favourite fruits and made some delicious fruit kebabs. The children enjoyed eating them during snack time. 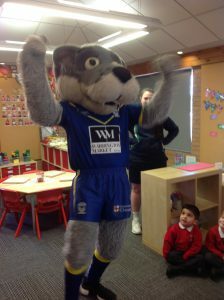 Later in the day we had a very special visit from Wolfie! We are very proud of how hard the children have worked to create their fabulous superhero masks.The children were very excited to parade their masks around the school. We visited classrooms and walked around the school building. Here are some photographs to show you our new superheroes! We have been using musical instruments this week for the very first time, playing our Glokenspeils along with a piece of music. We found it really tricky to sing and play, and we were very tempted to play the instrument for the whole song as we were so excited to be using them. We are looking forward to next week’s music lesson, where we will try to play the note G at just the right time! 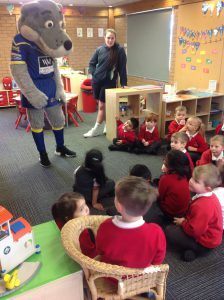 The children were happy to be back at school and were excited to tell the teachers all about the exciting things that they did over the school holidays. 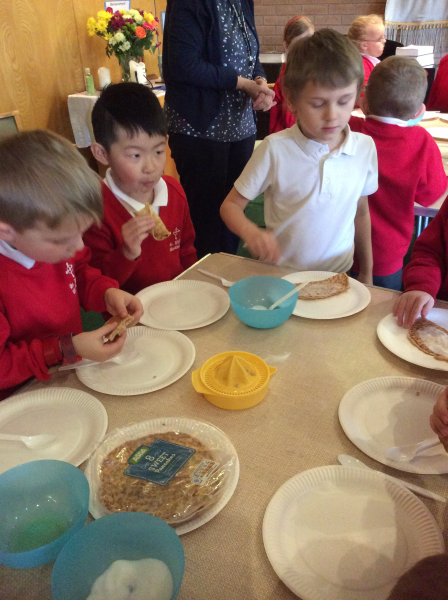 During the first week back at school, we explored different types of foods. We talked about foods which are healthy and those which are unhealthy. We sorted foods into different groups and then the children completed a cutting and sticking activity to design their own healthy plate. Some children also completed a survey to find out which is the most popular fruit in the class. 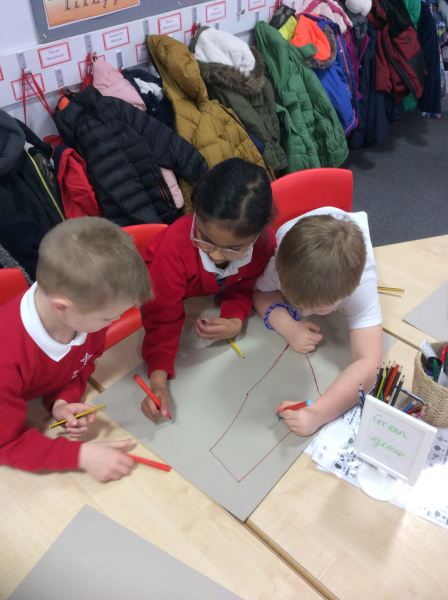 They then completed a pictogram to show their findings with Miss Stubs. 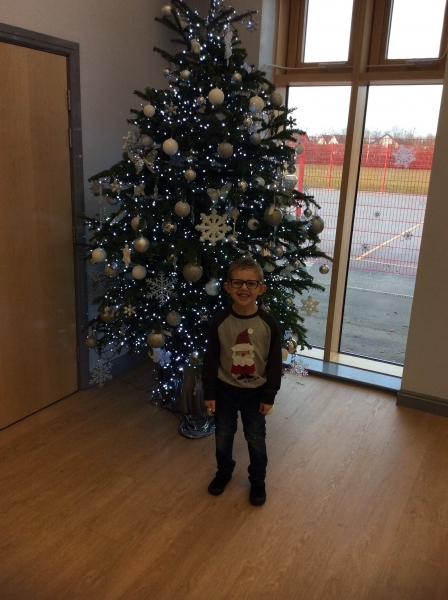 The children had a fantastic Christmas party. We played party games including musical statues, corners and pass the parcel. We then went into the hall where we had a very exciting visit from Father Christmas. After the children received their gifts, we went back to our classroom so the children could to enjoy their delicious party food! 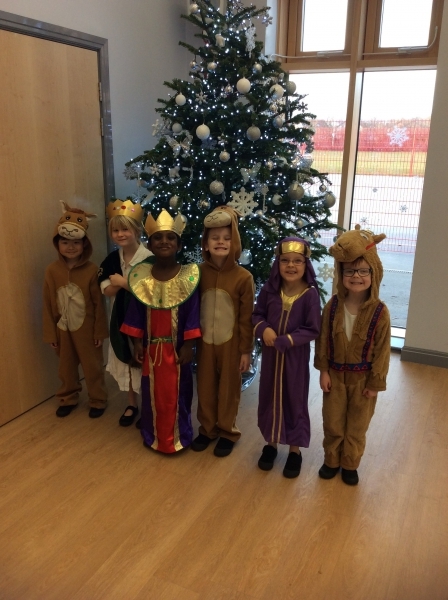 We hope you enjoyed our Christmas play. We had lots of fun wearing our costumes and singing our songs. This week we have been learning about how chocolate changes as it warms in your hand. This was such a yummy science experiment! 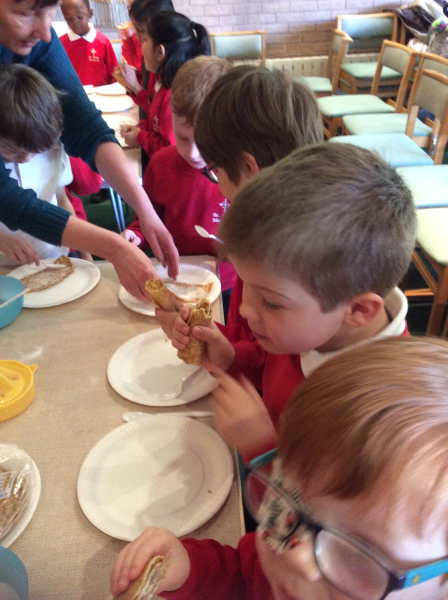 The children have enjoyed tasting space food today. We had freeze-dried Neopolitan Ice Cream and an Ice Cream Sandwich. It made our mouths watery! 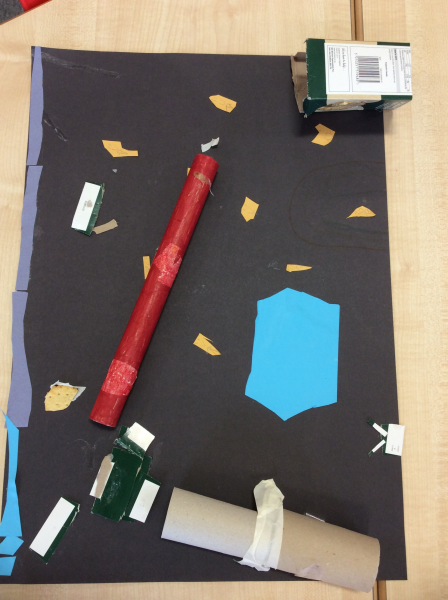 We have been making some rockets today using junk modelling materials. We are famous! Our class photo has been printed in the Warrington Guardian, hope you managed to get a copy. We have been learning how to estimate and measure with our hands. 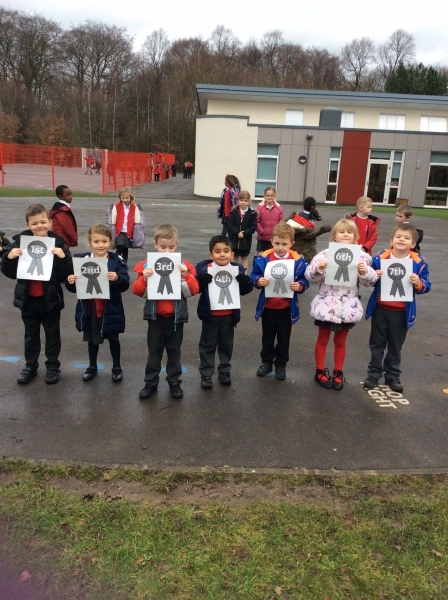 Some children had a go at using their new skill to measure rockets; well done guys! 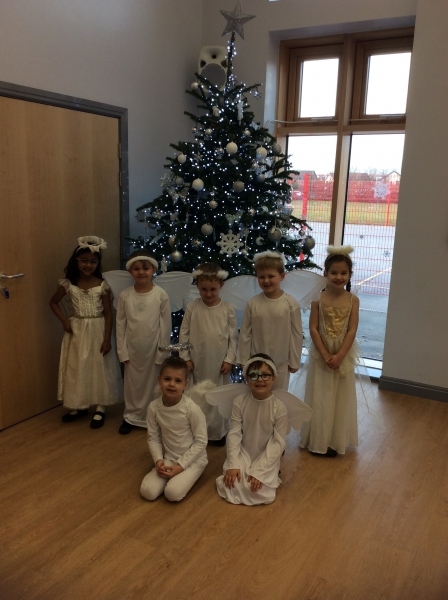 Today the children enjoyed learning about the Festival of Light. We learnt a Bollywood dance, ate some Indian sweets and made Diva lamps. What would we like to be when we grow up? 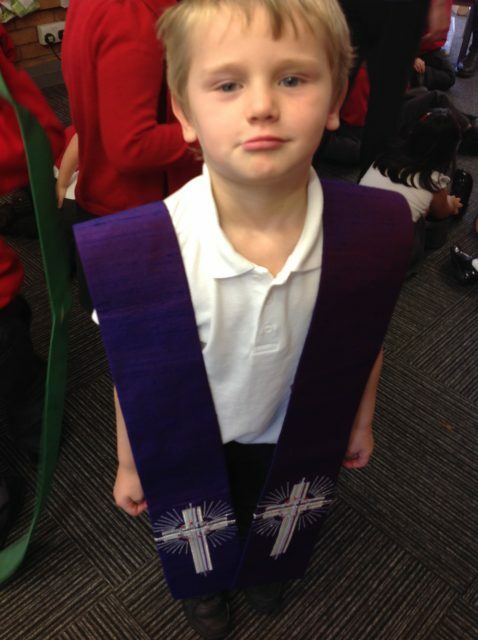 On Monday the children came to school dressed as what they would like to be when they grow up. They all looked fantastic! In the afternoon, we were very excited to be visited by Mrs Atkinson and her dog Dougal. Mrs Atkinson is a vet and she spoke to the children about the tools she uses to help animals to get well. 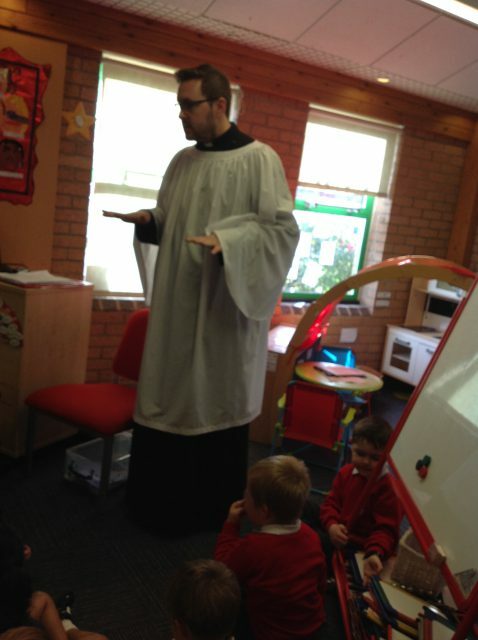 All of the children enjoyed having time to interact with Dougal. Mrs Atkinson taught us how to check his ears for infections, listen to his chest, brush his teeth and even had the opportunity to bandage his paw. We thanked Dougal for his patience by rewarding him with lots of strokes and tummy rubs. On Tuesday we had another special guest. Dr Coutinho is a paediatrician and brought a very special teddy into school to show us how doctors help us when we are unwell. We learned what we need to do to be healthy and then the children enjoyed exploring some medical equipment. We took turns to listen to each other’s heart beat and we practised using banadges and plasters. Today we had a visit from Mr Lomax who is a police officer. He talked to us about what he carries around with him when he is working. 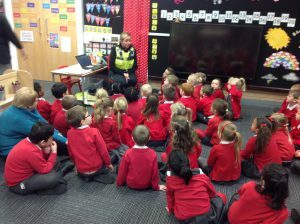 We learnt that police officers are here to help us and keep us safe. The children got to look at a police radio, handcuffs and try on a police helmet! Today we had a visit from Mr Atkinson who has a very important job to do. 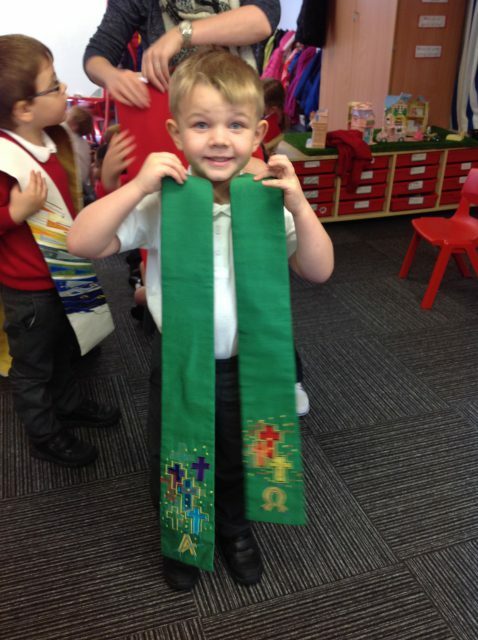 He is a vicar in our Church and he is also Noah’s daddy! We were very lucky and we got the chance to wear some of his special clothes. Can you remember the names of each piece of clothing? We had a special visit from our Headteacher today, and the children enjoyed asking Mrs Wightman lots of questions about her job. Would you like to work in a school when you are older? 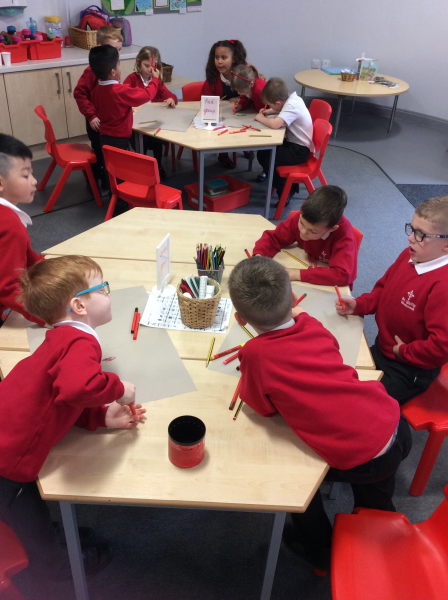 We have been thinking about what makes us special. 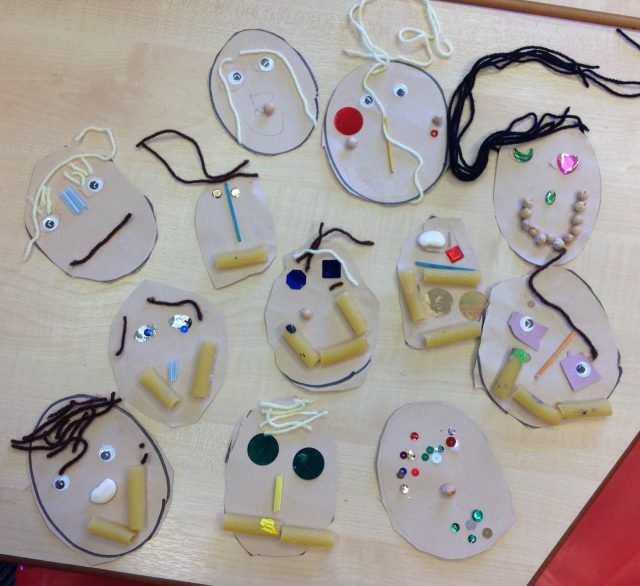 Using a range of materials we made collages and paintings of our faces, talking about our unique features. We hope you enjoy our art work! 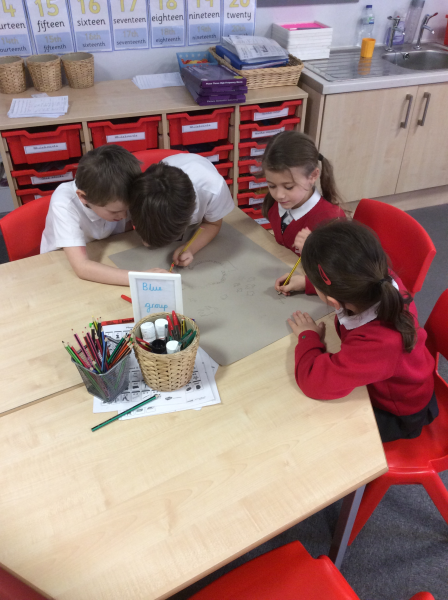 On Tuesday we thought about why we need to wash our hands. We read a book and then followed instructions to wash our hands properly. The children are having lots of fun exploring the different areas of the indoor and outdoor classrooms. 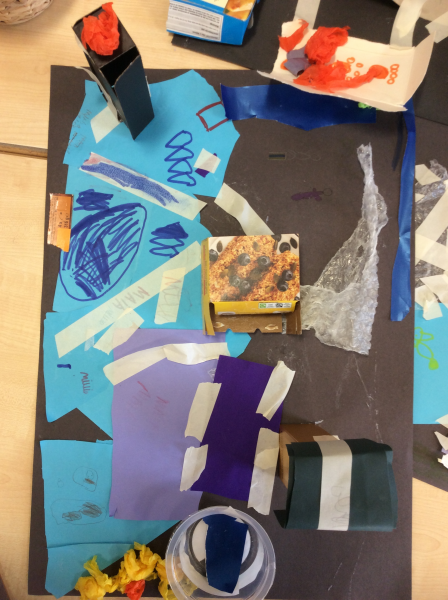 Here are a selection of photographs to show what the children have been doing.